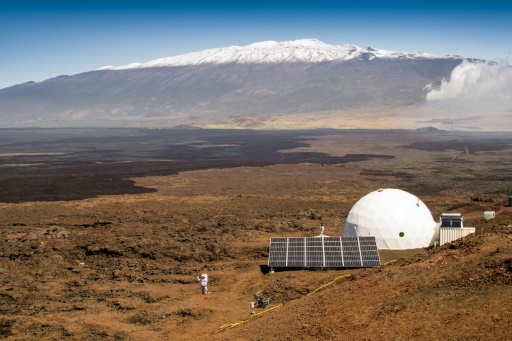 Six people shut themselves inside a dome for a year in Hawaii, in the longest US isolation experiment aimed at helping NASA prepare for a pioneering journey to Mars. The crew includes a French astrobiologist, a German physicist and four Americans—a pilot, an architect, a doctor/journalist and a soil scientist. They are based on a barren, northern slope of Mauna Loa, living inside a dome that is 36 feet (11 meters) in diameter and 20 feet tall. In a place with no animals and little vegetation around, they closed themselves in at 3:00 pm Hawaii time (0100 GMT Saturday), marking the official start to the 12-month mission. The men and women have their own small rooms, with space for a sleeping cot and desk, and will spend their days eating food like powdered cheese and canned tuna, only going outside if dressed in a spacesuit, and having limited access to the Internet. So what kind of person wants to spend a year this way? 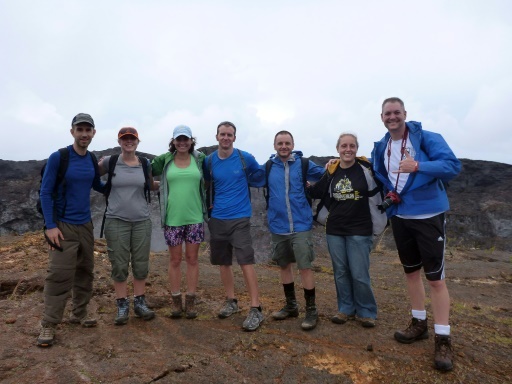 Crew member Sheyna Gifford described the team as "six people who want to change the world by making it possible for people to leave it at will," she wrote on her blog, LivefromMars.life. Architect Tristan Bassingthwaighte said he will be "studying architectural methods for creating a more habitable environment and increasing our capability to live in the extreme environments of Earth and other worlds," according to his LinkedIn page. "Hoping to learn a lot!" he added. Any astronauts that go to Mars are facing a trip that would last far longer than the six months that humans typically spend at the orbiting International Space Station. NASA's current technology can send a robotic mission to the Red Planet in eight months, and the space agency estimates that a human mission would take between one and three years. With all that time spent in a cramped space without access to fresh air, food, or privacy, conflicts are certain to occur. The US space agency is studying how these scenarios play out on Earth—in a program called Hawaii Space Exploration Analog and Simulation (HI-SEAS)—before pressing on toward Mars, which NASA hopes to reach sometime in the 2030s. 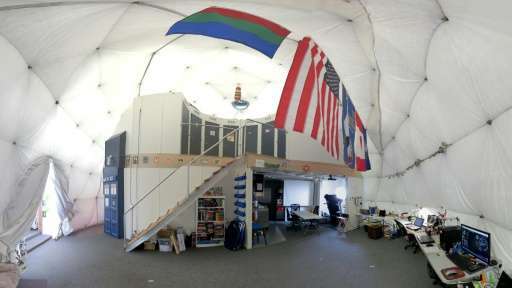 The first HI-SEAS experiment involved studies about cooking on Mars and was followed by a four-month and an eight-month co-habitation mission. NASA is spending $1.2 million on these simulations and has just received funding of another $1 million for three more in the coming years, according to principal investigator Kim Binsted. "That is very cheap for space research," she told AFP by phone from Hawaii. "It is really inexpensive compared to the cost of a space mission going wrong." Other simulation experiments have taken place under the ocean off the Florida coast, in Antarctica and in Russia, where a 520-day Mars experiment was carried out in 2011. Binsted said that during the eight-month co-habitation mission, which ended earlier this year, conflicts did arise. She said she could not go into detail about the nature of them without breaching confidentiality of the crew. But the crew was able to work through their problems, she said. "I think one of the lessons is that you really can't prevent interpersonal conflicts. It is going to happen over these long-duration missions, even with the very best people," she told AFP. "But what you can do is help people be resilient so they respond well to the problems and can resolve them and continue to perform well as a team." Binsted said the first scientific results from the missions should be made public about a year from now. Jocelyn Dunn, a crew member from the previous mission, said she came to love the inside jokes among the crew, doing daily workouts, and learning to cook things like bagels and pizza dough with the ingredients on hand. "I guess I got a taste of marriage, albeit a hexagon of relationships rather than a dyad," she wrote on her blog. Then, just days after the mission ended in mid-June, she described the joy of being "on Earth" again, eating fresh vegetables, using a knife to cut meat, swimming, and drinking soda and champagne. "I couldn't believe how much I had missed the flavors and textures of a juicy steak."